Following a long wait for the contestants since the final shoot-out on November 1st, Jason Lynn was announced as the Masters Superbike Championship 'Young Motorcycle Racer of the Year' at the Masters Superbike Championship awards ceremony in County Kildare on Saturday night. 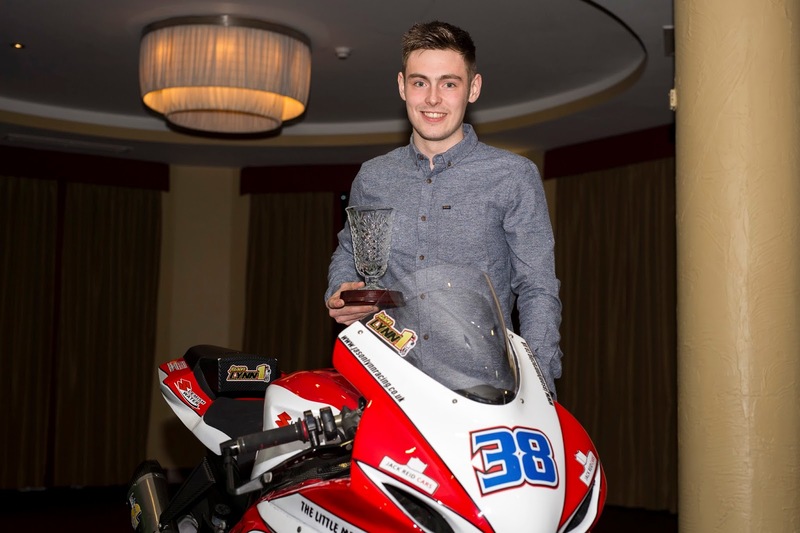 Lynn follows in the footsteps of 2016 winner Robert English as he walks away with a prize package worth more than €12,000 to assist him in furthering his Motorcycle Racing career. 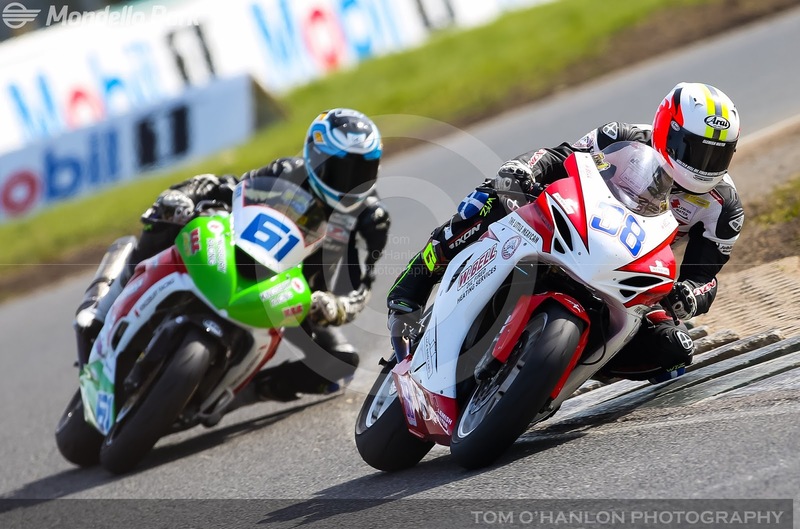 The biggest award in Irish Motorcycle Racing is in its second season and has been fantastic success with more than twenty riders under the age of twenty three registering to take part. The championship organisers were once again delighted to have backing for the competition from Mondello Park owner Martin Birrane, Bishopscourt owner Jim O'Brien, Dawn International and AJ Plumbing Supplies along with the addition of Peter McMahon of European Industrial Chillers Ltd..
Jason Lynn began the year as one of the favourites to lift the Masters Supersport title and started well with two wins from the first two race weekends. 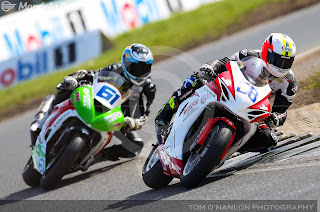 The Upperlands resident's championship challenge really took off at the third event of the season, at Mondello Park in May, when two more wins and a second place from the three races brought him within five points of series leader Ross Patterson. 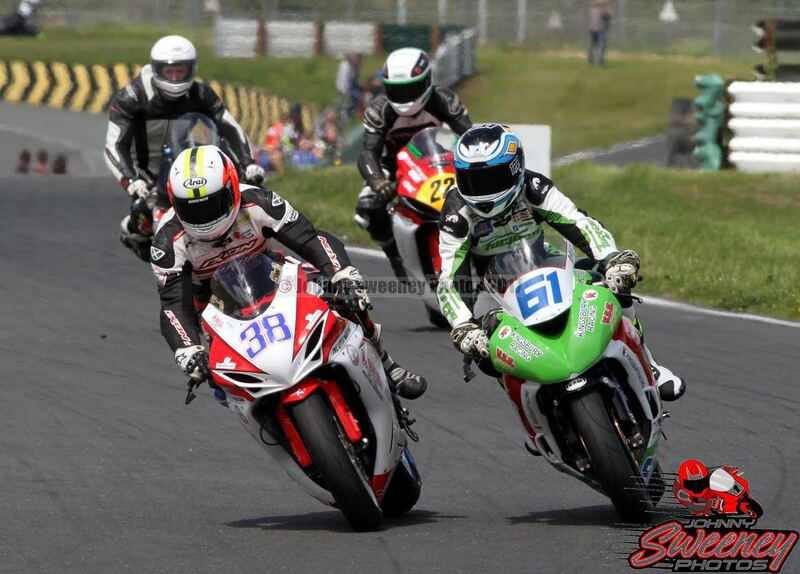 Jason's performance in May was good enough to earn him the third 'Young Racer of the Year' nomination joining Eunan McGlinchey and Rhys Irwin. Over the remainder of the season Graham Whitmore, Brendan Glover Jnr., Ross Patterson and Aarron Clifford joined the Supersport star in the final as he continued his strong season to end up as Supersport Champion for the first time. With all the nominations decided the decision on who would be crowned the 2017 Young Racer of the Year was made at a one day shoot out which took place at Mondello Park in early November. During the shoot-out the riders were put through their paces, both on and off the track, with each nominee being assessed in a number of areas. The On-track assessment made up half of the marks awarded, with the other half being split across the two off track categories. Experienced racers Jeremy McWilliams and Brian McCormack assessed the riders ability with their bike, both in the garage and on the track, quizzing them in the garage before observing them from a number of locations around the circuit. Mondello Park General Manager Roddy Greene assessed each riders presentation of their past and future careers, while a communications consultant assessed the nominees on their media skills. When the points were added up it was Lynn who came out ahead, impressing the judges across all categories, not only with his performance but also with his progress since the 2016 final. Following the shoot out the competitors were required to wait until Saturday night's awards ceremony to hear the result which was announced as the final award of the night. Speaking after the announcement the clearly delighted Young Rider said, “I'm speechless. It's unbelievable to be recognised by riders of the ability of Jeremy McWilliams and Brian McCormack as well as the other judges. It's been a long journey and a lot of hard work over the past six years to get here. I plan to use the award to achieve my plan to race in the UK next season as well as as many Masters rounds as possible. I'm really looking forward to next season now and representing the Young Racer Award sponsors to the best of my ability“. Roddy Greene, representing the competition judges, also had this to say about Lynn and the standard of the competition in general. "The standard of competition this year was really high with all the nominees operating to the highest standards. We are delighted to be in a position to present this and hope that it will be a real benefit to Jason's 2018 season. Jason has been in outstanding form all season and this award is a fitting end to a great year."